We are pleased to welcome you to our new internet presence. Please take the time to browse the new website and have a look at the changes we have made to make your experience better and more productive. 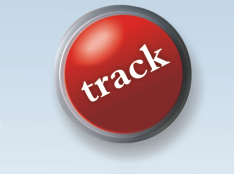 You can use the new tracking button to the left for your convenience. Please call us with any questions or inquiries that we can address for you. We look forward to hearing from you and working with you soon. We offer a personalized service, to accommodate all our clients objectives. Pride Worldwide Inc. prides itself on quality service and Professional Results In Daily Exports & Imports. Mr. Steve Rakiec of Pride Worldwide Inc. has been in Freight Transportation business for 30 years, fully licensed for US trucking, air and ocean freight shipping. We handle shipments from any point in United States to any point worldwide. . I opened the company as a Freight Forwarding company, and have expanded into complete logistics facets. I have been in the Transportation and Logistics field for over 30 years. We now handle products for various overseas governments and ship the material via air or sea. Pride Worldwide, Inc handles the shipment from ordering the material to bringing the material to the door of the purchaser. © Copyright 2009 Pride Worldwide Inc. All Rights Reserved.